Not much luck pressing on the gear to my new rear axle. I used a 20-ton press, but only got it on about a half inch before bogging down. The original axle measures 1.062" on average (it varies from 1.0614-1.0624) . The new axle measures 1.0633". I heated the gear to about 350F and greased the axle some. My press set-up is shown (sideways). Any tips? I would take this up with the people who sold you an oversize axle shaft. I would want to know how they intend to make this work for you. Actually it would have worked better if you had frozen the gear and axle end,(dry ice) rather than heat it. Is the key way deep enough and is the key the right size. It could be getting hung on the key. Is the socket deep enough? Check that socket length. If that axle shaft was too large at 20 ton you'd be shaving material off the axle or broaching, possibly breaking the gear. All good points. I'll remove the gear and check it again. How much larger should the axle O.D. be than the gear I.D.? With the size of the axle you gave, it is only Plus, or Minus .000-06 tenths of a thousandths. You can always put it between centers and polish the 6 tenths off. When you heat gears they can shrink to a smaller size then they were. Never use heat! 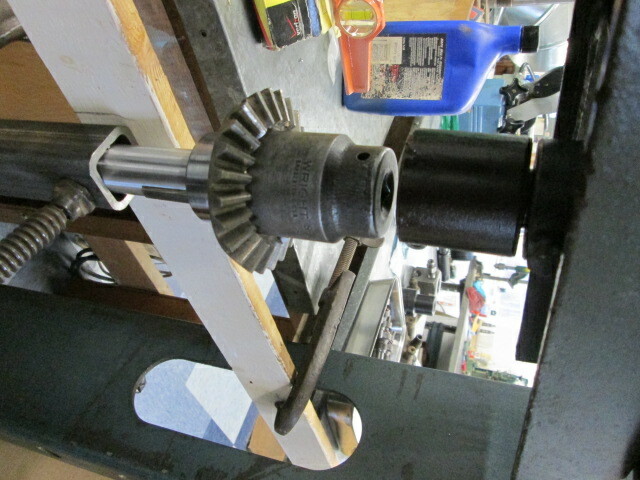 We oil the shaft, and the inside of the gear before press. As Mike said, watch that Key Way, they can stop you Quick. The next thing, 20 Ton can work, depending on how your holding jig is made.You have to watch so you don't bend the axle, as it is not hard to do. I couldn't find any old pictures ours, and I don't feel like dragging everything out tonight. Please explain how heating the gear will cause it to shrink. Do you mean that at 350F the hole will be smaller than it would be at room temp? Are you saying this is only true of gears? Also, are you saying Frank, that freezing the gear will increase the diameter of the hole? FWIW, I had two gears pressed off from bad axles. One required 24 tons pressure and the other 28. One of the gears was then pressed onto a new (to it) shaft using an original T era KRW press; it also required 24 tons to seat. Usually difficulties in pressing are due to a burr having been raised. Freeze fitting is nothing new, liquid nitrogen will shrink carbon or alloy steel by max of .0019" per SQ"
I used dry ice from the local icecream factory when doing field repairs on irrigation pumps, fitting wear rings, impellers, bushes and bearings on shafts, but the interference fit to start with was always minimal, .001" or less. The rear axle shaft for the tapered hub carries the factory number T-2818. According to the factory drawing, the diameter limits on the shaft are 1.062-1.063. I take this to mean that the nominal diameter of the ground portions of the shaft was to be 1.0625 (1-1/16) plus or minus .0005. That's a tolerance of 1/2 of one thousandth of an inch on either side of the nominal diameter. If the new axle shaft really does measure 1.0630, then it is a little on the big side, but still within acceptable limits. 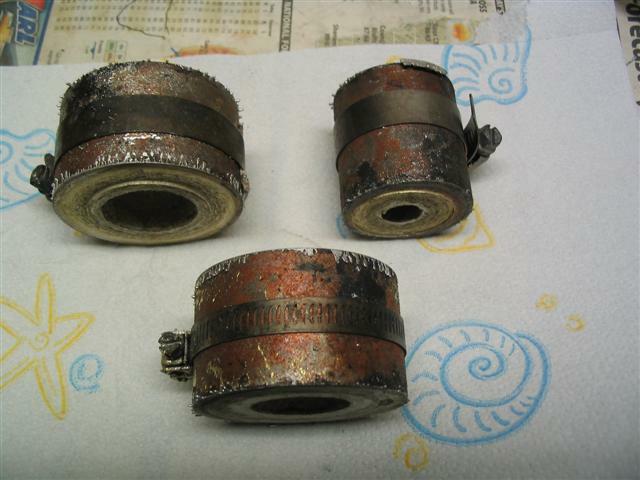 Also keep in mind that the diameter of the hole in the gear also had a nominal diameter with a tolerance of .0005. So not only might the axle be a bit large, the size of the hole could a bit on the small size. That combination could result in a really tight fit. 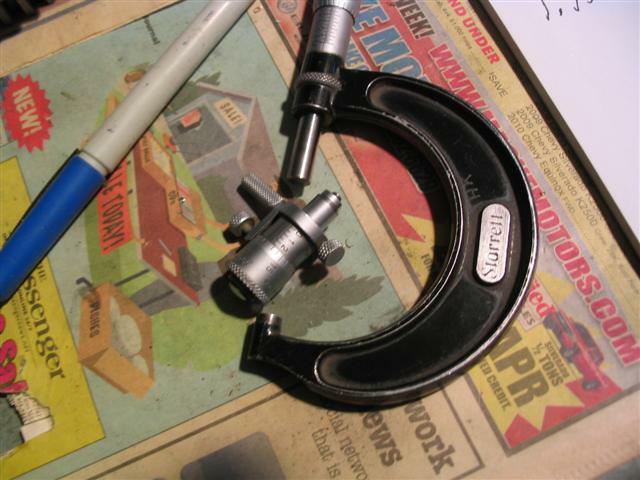 It takes a really good micrometer that has been checked for accuracy to be able to measure down to the level of .0001. Most dial calipers are not accurate enough to measure at that level. These are accurate to the 1/10 of a thousandths every time. Jerry, I am saying that if you take a piece of metal, in ring, or circle form and heat it, and let it cool, most times it will be a different I.D. then it was before. That is one of the reasons we pour cam bearings in a spinner. Say take a set of Packard cam bearing, thin wall shells. 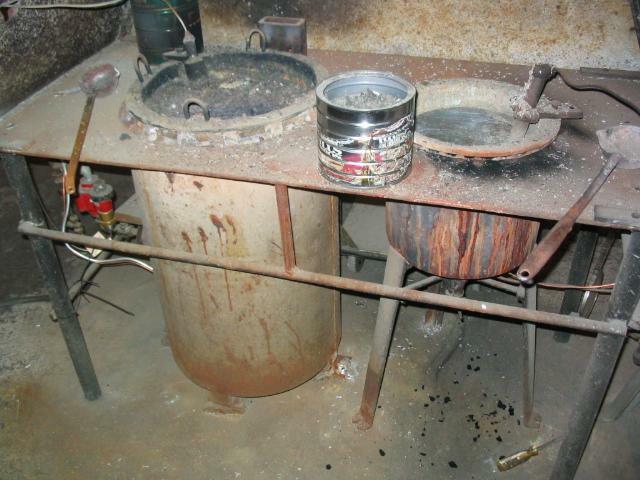 If you pour them statically, the metal shell will expand larger, and then the babbitt is poured in. 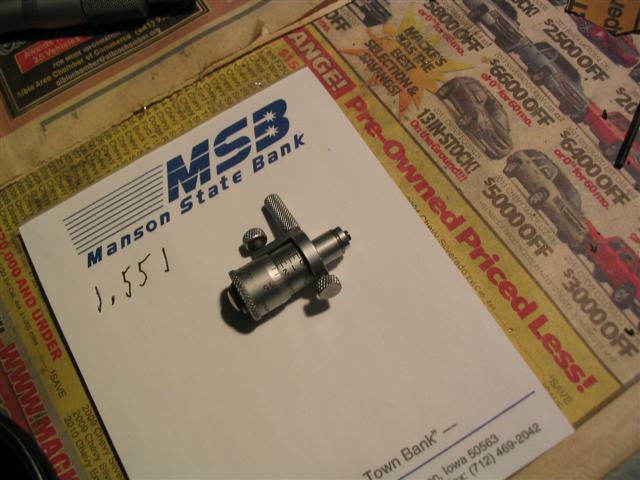 When it cools the metal shell will shrink toward the babbitt to back where it was, or smaller, then as the babbitt cools, it will pull it's self loose from the cam shell. If now you use Centrifugal Force, the ring expands from the heat also, but when you add the babbitt, the babbitt will hold the ring out tight until it cools, and the Plus is the ring, or, cam shell is now the O.D. size it should be for a press fit, where you can't do that by pouring them statically. "Quote" Please explain how heating the gear will cause it to shrink. Do you mean that at 350F the hole will be smaller than it would be at room temp? Are you saying this is only true of gears? Trent, the last N.O.S. 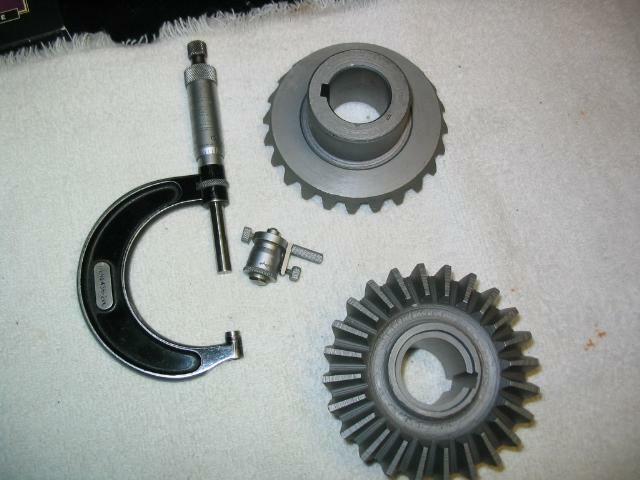 Ford Axle Gears I have are 1.061, and 1.061-60, I.D. 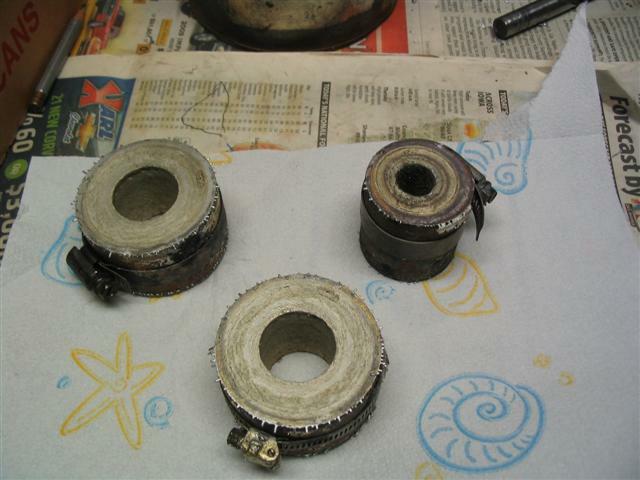 Remember how rear axle bearings were fitted and held on by a 'shrink ring', heating and letting it cool on the axle could and would compromise the rings ID, not the done thing anymore, now called a collar and pressed on. Less chance of a wheel and axle ending up in the boon-docks. I have been there and done that! For my 24 Coupe I purchased a new axle only to find I couldn't press the gear on. After much head scratching and measuring by myself and some good machineist's plus contacting the supplier we came to this conclusion. Its pretty much what Trent Boggess surmised. The new axle I purchased was in acceptable limits BUT it was on the high side. My original gear was of course in acceptable limits BUT on the low side. Which makes for an extreamly tight fit or no fit at all. The supplier replaced the axle with one that was within the size of my axle gear and it worked fine. We can only wonder what went on when the gears were pressed on in Fords factories. I will bet they had a pli� of axles and gears and used the ones that pressed the easiest! O.K., I understand what you mean. Thanks. Yes, I understand shrinking parts with liquid nitrogen. In fact, I just got done doing that very thing, shrinking in some thin walled bushings. In the case of John's project however, I would only freeze the shaft, not the gear too. Or, maybe I misunderstood your earlier post. Maybe I should have gone into more detail Jerry to better understand what had happened, I was referring to the situation of it being stuck as in more chance of fitting or removing the gear if frozen, to heat it to a point for it to let go would only stuff it up, Red hot, any thing under that heat and all you have is 'Thermal Expansion' of both parts, making it even tighter. 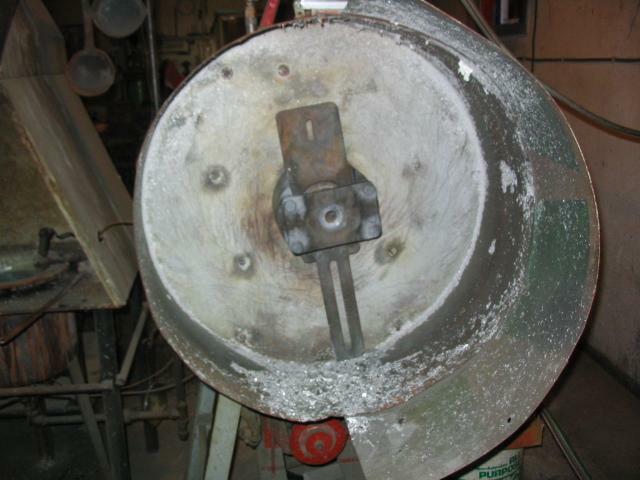 A press fit of 0.002/0.003 on a 1 inch shaft is a heavy press, 20 tons might not be enough. If you can get it apart then turning down the axle shaft about a thousandth as Herm suggested will solve the problem and still give a good press fit. I am glad to see you have the axle shaft captivated, they have been known to come loose and sail across the room. The press was pretty well centered, though my photo (previous post) makes it look off-center. I didn't check the key fit, so I'll do that before I try again. If the key looks OK, I may get the axle ground down slightly. I bought two new axles, and they're both the same O.D. Probably is not what is causing the problem but I taper the end of the key way on both sides to make it easier to line the gear up with the key. I just grind a quarter inch or so taper on the end that will go in the gear. That way it lines the gear up as it presses down. I ruined an axle several years ago trying to press the gear on. It was tight and I kept on going, thinking it would go. Wrong. I had a terrible time pressing the gear back off and it galled the end of the axle and the inside of the gear. Hundred dollar lesson plus a gear plus a couple hours of wasted time. Now I turn the end of the axle past the lock key slot down two or three thou so the gear gets a good straight start on the axle, taper the key, set the gear down at the bottom so I can watch it press on the axle with the axle up top with an old hub on it. I can see the key, the axle and the back of the gear while it is going in. I press on the hub instead of the axle. If you put a little grease on the axle taper it will keep it from sticking too bad or you can just thread your hub remover on and pop it off the axle. That way you don't bend the threaded part of the axle or the tapered end. Works for me, might not for you. Success. I brought the axle and gear to my local machine shop, and they turned the I.D. of the gear slightly for a press fit ("dusted" it, as they called it). They even pressed it on for me using a large press at a race car builder next door. They heated the gear in a "bearing heater". They told me that heat will increase the I.D. of female parts like the gear. Anyway, it's now assembled. Cost was $40, and I'm not complaining. 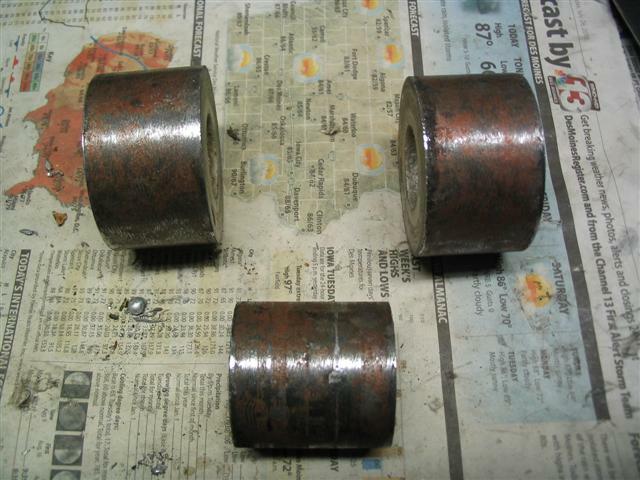 The majority of the repro axle shafts have not been made properly for some time now. 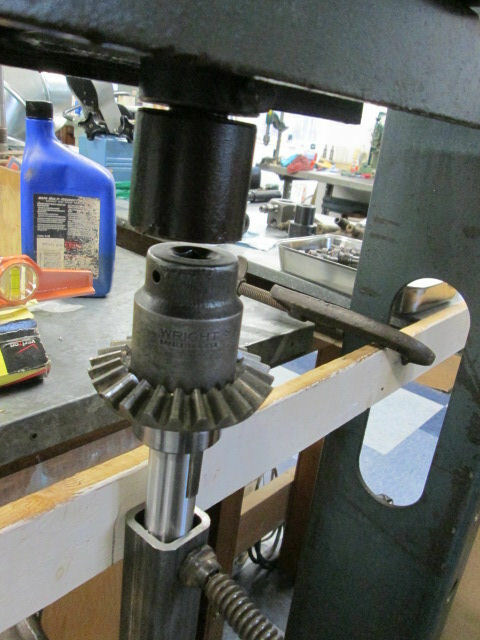 The area of the axle shaft before the recess for the lock-ring is supposed to be machined slightly smaller than the rest of the shaft to allow the gear to get a nice straight start and press on nice and straight. The gear should be a slip fit over this area of the shaft, and then press the rest of the way on. Most of the repro shafts I've seen in the last several years do not have that "starting area" machined down properly. I own copies of the Ford Prints for axle shafts, roller bearings, & sleeves, and have researched this in the past. The print has a note pointing to the area of the axle shaft before the notch that says "This Part Of Axle To Be Ground To 1.059"/1.060". This allows a little better than a 5/8" long area where the gear is a slip fit on the end of the shaft so it is lined up and good and straight when it gets pressed the rest of the way on. Lined up in this manner, it should even press on okay if there is a very heavy press fit. Your setup looks pretty good, but even a very slight fluctuation of that gear tipping one way or the other, or not lining up PERFECTLY and you have "rolled up" a small amount of metal on the much softer shaft and the gear will not press on. The shaft needs to be chucked in a lathe and have that starting area cut (or even just carefully and evenly filed) down to the correct diameter. The other things that might be wrong with some of the repro shafts are that the bearing journals are occasionally a bit too large and/or don't have a smooth enough surface finish, the hub key-ways are not deep enough causing the hub to not fit on the taper of the axle properly, and you might find that the woodruff Key for your axle gear hangs out the back of the gear where it will grind into the cage of the roller bearing (you have to carefully grind the end of the key away so it is below the level of the journal and flush with the gear. The repro axle shafts are also not as hard as they should be. Most of them are around Rc25 and they should be closer to 50 if I remember correctly. The end of the new axle was turned to a smaller OD, and fit in the gear easily. My machinist said the problem was in the gear I.D. ; that it had a bit of a taper for some reason. I think I could have turned it down myself, but was afraid my rudimentary lathe skills. See if the machinist can correct the taper on their Sunnen Honing machine. Should only be a very minimal cost.